This is simply the best margarita recipe. You will never go back to a mix again! Whenever my husband Tim develops an interest in something, he wants to learn everything there is to known about the subject. He’ll read book after book until he’s satisfied he knows the topic inside and out. Last year, he became interested in cocktails. A year later, you can bet he knows all about classic cocktails. He knows the best liquors, the ingredients, the recipes. He knows his cocktails. I love it because he learned how to make this margarita recipe. I happen to think this is the best margarita recipe, ever. Everyone who’s tried this margarita recipe agrees and says it’s the best margarita they’ve ever had. These days whenever we have a get-together, Tim is usually stuck shaking margaritas the whole time. It’s basically the classic, original margarita recipe. Tim didn’t invent it, obviously, but he’s still my hero for making it for me. If you’re used to margaritas from a mix, get ready to have your socks blown off. This is how margaritas should be made. You won’t ever want a margarita from a mix again. Which is good, because not only does this margarita recipes taste a million times better, the mixes usually have ingredients you wouldn’t want to put in your body. We’re already putting alcohol in there. Let’s stop there. You can use blanco or reposado tequila. Reposado is tequila that has been aged in oak whiskey barrels while blanco is distilled and bottled immediately. I prefer blanco for this margarita recipe, but it’s personal preference. You want a high-quality tequila that is 100% agave with no fillers or other ingredients. The bottle shown is Corralejo, the one that Tim recommends, and retails for about $25 a bottle. Once you have your ingredients, you’re ready for the best margarita of your life! I hope you love this as much as we do. 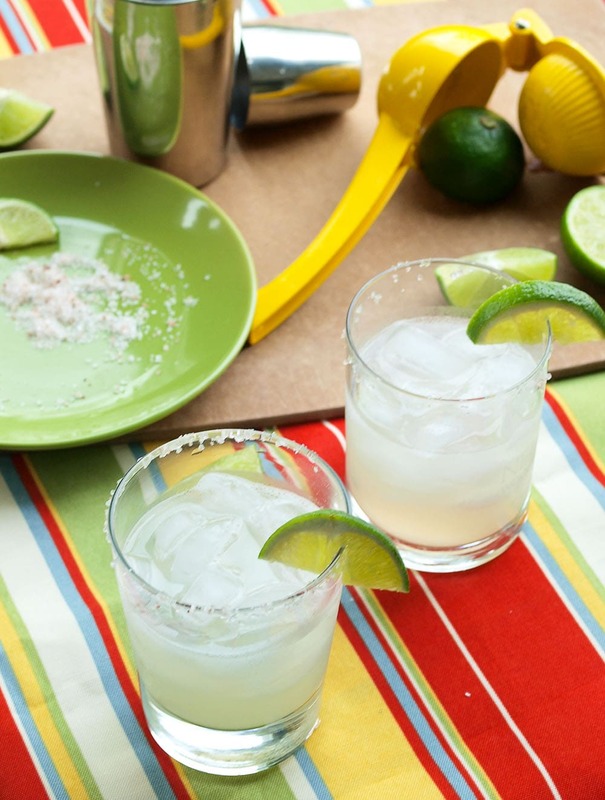 If you aren’t having margaritas today, I hope you’ll save this recipe for later. You’ll be glad you have this one! 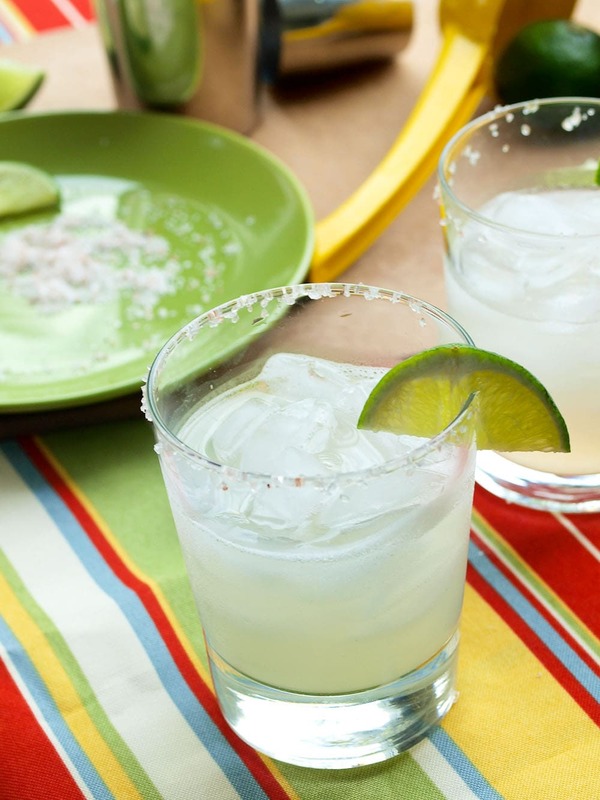 This simple recipe is a classic margarita recipe. You’ll never need to buy a mix again because this is simply the best. 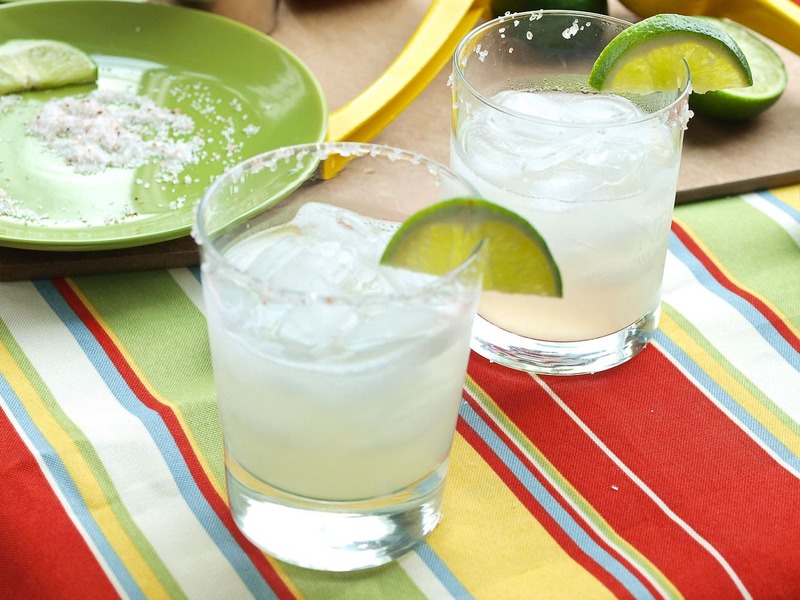 If you prefer a salted rim, rub the rim of your glass with lime juice. Dip the rim into a plate of salt until it is covered with salt. 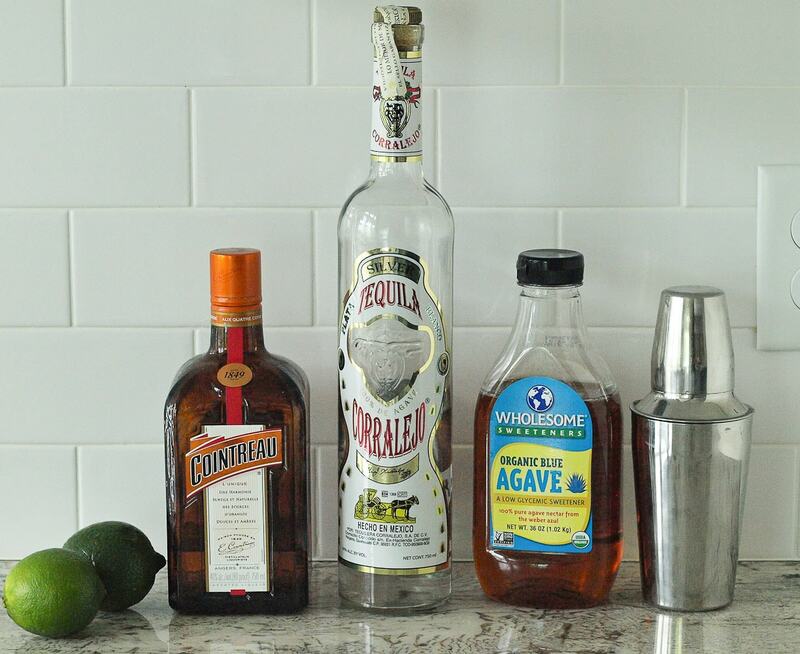 Measure tequila, lime juice, Cointreau, and agave nectar into a cocktail shaker. Pour through the strainer into a glass of ice. Enjoy! Yum! I love a good margarita. Nice and simple ingredient list, too. Love that! Just went out today to buy Tim’s recommended tequila – I’ll make this tonight 😀 A few days late but it just got hot in my neck of the woods so this is PERFECT. It was fantastic!!! This tequila was absolutely perfect. I forgot that the agave I had on hand was the dark amber variety, but it was fine. It was VERY WARM last night where I live and this hit the spot. This is going to be my go-to recipe from now on 🙂 Thanks Maryea! The masculinity is totally coming out but I love margaritas but all our tequila in Australia was terrible. Not anymore. Now that I’m here, I’m going to hunt this down! Margaritas are my favorite. Cant’ wait to try this. Thanks. Can you make a pitcher of this recipe? How would you adjust the quantities? Would love to know this too (about making a pitcher). We are having a Father’s Day Fiesta on Sunday and plan to make magaritas for our families to enjoy! Thank you! How about converting this recipe to a gallon for a party? Can it be made ahead? 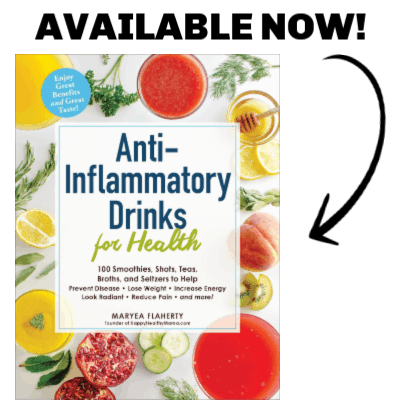 Just wanted to let you know that your margarita drink recipe made our list of the Best Mixed Drink Recipes http://www.listsforall.com/best-mixed-drink-recipes/ Thanks for sharing! What ounce glass was used 8 or 10?